Here are a few examples of our past record of spotting, and backing, quality players early before their true level becomes apparent. 4 examples below including OnTheOche’s overall all-time most profitable player Mensur Suljovic plus 3 of our recent examples from the past couple of years. While spotting new players early isn’t the only angle we take it is an important one and I believe one that can definitively prove the ability to find value in a market. We first backed Mensur Suljovic way back in 2008, when he was a complete unknown to 99.9% of people. Between 2008 and 2012 we backed Suljovic any chance we could, namely the only 2 PDC events he played – the World Champs and the European Champs. In 2013 the PDC introduced the Euro Tour events and that allowed European based players like Suljovic the chance to play far more events and allowed us to get more bets down on him. Suljovic started winning games and moving up the rankings and playing more and more events until he became a full time fixture in the PDC. But it wasn’t until early 2016 that people finally started to realise how good he was and he started to get recognised as the top 10 player that we know him as today. As you can see, even as late as 2015 Suljovic was still being priced as an equal to someone like Justin Pipe and a big outsider vs the likes of James Wade and Adrian Lewis. Eventually by 2016 Mensur finally started getting the credit he deserved (sadly for us!) but he is a good example of how players can go under the radar and stay there for many years until they have a big breakthrough moment. Within a few weeks of Cross winning his tour card it quickly became obvious he was not your typical newcomer to the tour. He won his card in January 2017 and straightaway started putting in elite level numbers consistently in the first few floor events of the year. Knowing this was very unusual for a new player and the sign of a high quality player we backed him any chance we got in the early months of 2017. 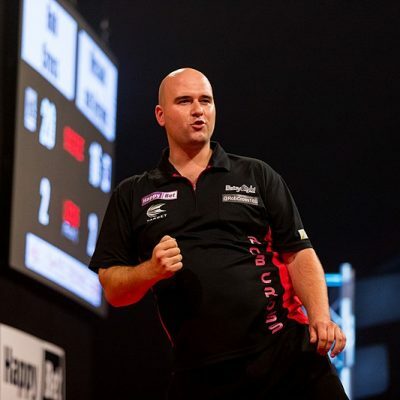 Overall we made an 11.44pts profit backing Rob Cross in 2017, most of it in those early months of the year when we were able to get big value prices before it became too noticeable how good a player he actually was. Ratjski started to put in decent numbers in the second half of 2016 but it went unnoticed by 99% of people. Probably because at the time he wasn’t a full time player and played a mixture of PDC and BDO so went under the radar in both. In the following 9 month period we were able to make a 9pts profit from just 11 bets backing Ratajski whenever the opportunity arose in either PDC Euro Tour events or the BDO World Championship and World Trophy. We were able to back him at odds-against vs players such as Jamie Bain, Rowby-John Rodriguez, Ryan De Vreede, Willem Mandigers and Christian Kist – all players he’d likely be priced 1.3 or less against nowadays now people know how good he is. We backed Unterbuchner @ 250/1 for the 2018 BDO World Championship when he was a complete rank outsider. 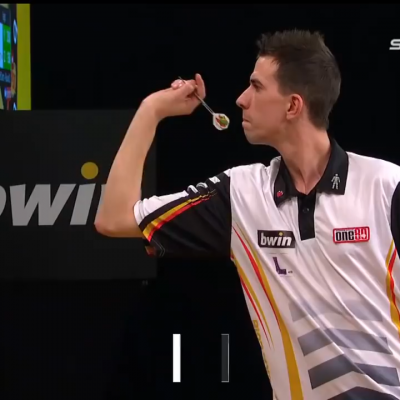 A contact had advised that an unknown German called Michael Unterbuchner was very impressive in the qualifying event for the BDO world champs and looked a really good player. We investigated further and found some other positive signals so had the bet. He went on to make the semi-finals of the BDO World Champs, falling just 1 game short for us to collect a monster payout. In terms of the official records this simply goes down in the books as a -0.50pt loss. However in reality members were able to cashout/trade for around a 10 – 12 pts guaranteed profit if they wished, which many did. If you would like to be a member so you can receive recommendations like the above please click the Subscribe button below. Any questions please get in touch.